Check out our new female artist vector character! 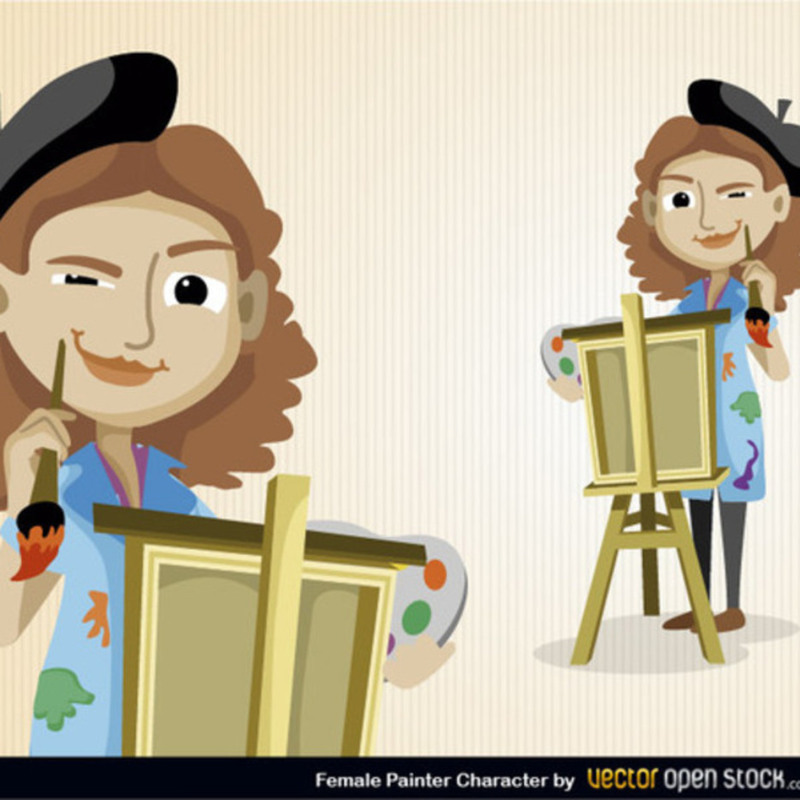 This little painter artist vector character is about to help you create a masterpiece. Under Creative Commons 3.0 Attribution License.